Equine, Human and Canine Holistic Muscular Therapy/Remedial SPORTS Massage Therapy - PLUS LED light therapy and nutritional support. 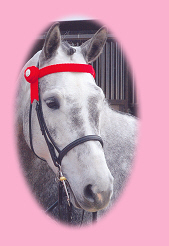 30 years experience working in the Equine Industry. 15 years experience muscular assessment and therapy. All owners must inform their vet upon booking a Sports Massage. This is to ensure your vet is consenting to the booking and that there are no contra-indications. I am happy to talk to your Vet if they have any queries about Massage Therapy. Payment required in full on the day of treatment. Cash or Bank Wire in advance please. Please discuss with your GP or medical adviser, to ensure Sports Massage is recommended and that there are no contra-indications. Payment required in full on the day of treatment. Cash or Bank Wire in advance please. See us on Facebook. Sarah is based in Bishops Waltham in Hampshire. She covers the Hampshire area and also occasionally works in West Sussex and Wiltshire for clients with several horses that need care. Contact her to discuss a visit for your horse here. Sarah will have Equinox supplements available to purchase at massage appointments and there is a £5 discount for each 3K tub, purchased at the same time as a massage. There is also local delivery available without any P&P for areas local to Bishops Waltham. Please email to enquire. Before booking a SPORTS massage please discuss with your doctor or vet.